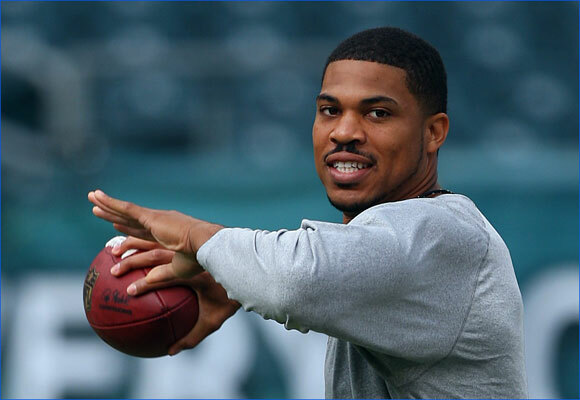 To understand just how Jason Campbell makes it work for the Redskins, we had to reveal his life … in reverse. There’s a moment during the game, toward the end, when he throws one of the best passes of his life. Fourth quarter, three minutes 38 seconds remaining against the Saints, Redskins down by two. 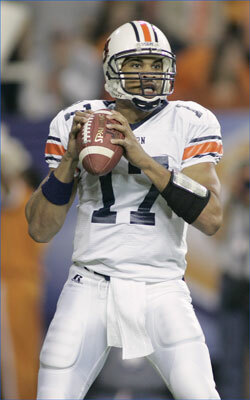 Jason Campbell takes the snap. All throughout training camp, during avoidance drills, five or six times a day, the 26-year-old quarterback practiced what’s about to happen over the next three seconds. There’s a man in his face, coming at him through the line like a bull. Campbell turns his right shoulder inside, avoids the tackle, takes two quick steps forward and rears his arm backward, his body completely sideways, as hough he’s about to throw a javelin. The ball coasts 60 yards. As Santana Moss pulls it in for a touchdown, Skins coach Jim Zorn thinks to himself, I’ll be darned if it didn’t happen exactly like the drill. Wow. In Suite 24 at FedExField, Campbell’s mom is jumping up and down, screaming. His father stands too but doesn’t make a sound. Five months after Joe Gibbs resigns, Jason Campbell has this realization: He’s been in seven different offensive systems in eight years. And as he counts on two hands the names of all his coordinators, it strikes him how ridiculous that is. Campbell is jerked down from behind by a Bears defensive end, and his left knee gives out. As he writhes in pain, his teammates plead with him: “Don’t look!” It is in this moment, on the ground, then on the cart, that he realizes how important it is to take his job completely seriously. Because he doesn’t want it to be over. The next week, he sits at home with a dislocated kneecap, watching the Skins on TV, feeling as lonely as he’s ever been. One month later, he watches helplessly from the sideline as his team is blown out in the playoffs. It’s Monday Night Football—Campbell’s first start on the NFL’s biggest regular-season stage. In the second quarter, he’s running down the sideline for what he’s sure will be some kind of heroic, 50-yard touchdown. But as he’s about to jump teammate Antwaan Randle El, who’s wrestled his man to the ground downfield, the receiver inexplicably stands up, as though the play were over. Campbell trips over Randle El and falls down with an empty field ahead. He stares at the end zone and thinks to himself, How many times do you get to rush for 50 yards as an NFL quarterback? Don’t that just be durned. Coach Gibbs wants to know if he’s ready. As a rookie in 2005, Campbell sat on the sideline learning the team’s conservative offense. It was all for naught; the Skins hired Al Saunders in the off-season to overhaul the system. Now, after having had just three months to master the new playbook—Saunders’ infamously complicated playbook—Campbell is making his NFL debut, at Tampa Bay. Gibbs calls him into the office and asks, “Are you ready?” Campbell thinks, Am I ready? I haven’t even run a snap of our offense since training camp. On his very first play, he throws a beauty of a deep sideline pass to Brandon Lloyd. The receiver drops it. Campbell is on a first date, which comprises bowling and a movie. “Durn, I left my wallet in the car,” he tells his companion, who will later become his girlfriend. He says “durn” instead of “darn.” This is because he’s from rural Mississippi. A “reaaaal country boy,” says Redskins cornerback Carlos Rogers. The more you talk to Campbell, the more he arches his a’s and loses his t’s. He also has a habit of pausing, of taking a breath in between words, of staring down at his fingers, of curling the left side of his mouth when he remembers something that must be really good. His teammates make fun of him because he looks like Lionel Richie. But his date tonight doesn’t tease him about this. As she foots the bill for bowling, she plays another angle. “You just wanted to see if I’d really pay,” says Mercedes Lindsay, Miss District of Columbia USA 2007. Auburn coach Tommy Tuberville is hanging out in the training room with some players from his offense, including Campbell. The coach can’t remember his senior QB’s saying 10 words to him ever, which is why he can’t believe it when a few of the Tigers tell him now that Campbell has a date tonight. Tuberville asks them, Why are you telling me this? Their answer: Jason’s got no game when it comes to girls—at all. It’s late, awfully late. Fourth-and-12, Auburn down 9-3 to LSU. The third game of Campbell’s final season is about to end with a loss at Jordan-Hare Stadium, in front of the largest crowd ever to see a football game in the state of Alabama. Coordinator Al Borges can barely stand to watch from the sideline. He took over the position in the off-season, replacing Hugh Nall, who replaced Bobby Petrino in 2003, who replaced Noel Mazzone in 2002. Is it any wonder Campbell has been struggling all day? As much as Borges tells him to let it rip in the new West Coast, the QB still sometimes plays as if he were afraid to mess up. As the stadium waits, quiet as a spool of string, Campbell takes the ball from under center. The Tigers blitz. Before he’s hit by two defenders, Campbell finds receiver Courtney Taylor with a 14-yard pass to get the game-saving first down. Three plays later, he hits Taylor again for a 16-yard touchdown. The Tigers win 10-9 and don’t lose a game all season. Campbell gets booed off the field. For the second straight game, the junior fails to direct a touchdown drive—and for the second straight game, the Tigers lose. So much for their preseason No. 6 ranking. So much for Campbell’s experience as a third-year starter making a difference. They drive all night to see him play. They leave under dark from their home in the pine belt countryside and head deep into the blank, flat spaces of southern Alabama. Larry and Carolyn Campbell always arrive at Jason’s apartment around 3 a.m. Their son, a redshirt freshman who’s already sharing snaps with Daniel Cobb, leaves the door of his apartment unlocked. His parents creep in while Jason and his roommate, running back Ronnie Brown, are asleep. As the most coveted QB coming out of Mississippi, Campbell decides to play football at Auburn. But the junior star hasn’t told anyone yet because he knows it’ll be big news. All Campbell tells his parents is that he’s prayed a lot about it and wants to announce his decision at one of the places he’s most comfortable: in front of the congregation at his church. Taylorsville High is trailing Newton High 28-7 at halftime. Campbell, the starting quarterback for the 2—2 Tartars, knows what some people are saying. His dad is the school’s basketball coach, and the vice principal, and a science teacher, so the kid is starting only because of favoritism. Jason tries not to think about it. But his new coach, Shannon White, can’t remember the kid smiling even once in any of the team’s practices. Campbell starts the second half in the shotgun. He throws for five touchdowns and 400 yards. He runs for 100 more. The Tartars win 48-28 and don’t lose another game all season. He stands onstage in front of 200 people at Pine Valley Baptist Church, holding a candle. He’s 15, playing one of the Three Wise Men in the church’s annual Christmas skit. He goes to church every Sunday, Monday and Wednesday; has since he was born. His dad is a deacon. Jason is taller by far than any of the other kids who are standing near the manger in front of the pews, because he’s grown about a foot the past year. He got a whole new set of clothing the summer before the performance, clothing he can no longer wear. He looks like “nothing but legs,” his mom likes to say. His favorite food is banana pudding. He also likes chicken casserole, corn bread, crab legs, greens, peach cobbler, peas and shrimp. Jason and his older brother, Larry Jr., have contests to see who can eat more shrimp. Jason sometimes plays tabletop football by using pencils as players. His best subject is math, and his favorite cartoon is Teenage Mutant Ninja Turtles. When he’s sure no one’s watching, he gets out his TMNT figurines and tries to mimic their cartoon voices. What he doesn’t know is that his parents have seen this and think it’s hilarious. Everyone comes over to Jason’s home because his dad put up a hoop at the edge of the yard. Tiny Summerland, Miss., consists of about a dozen households, and the kids head to the brick house on Smith County Road to shoot baskets and toss the football. Under the footsteps of so many children, the St. Augustine grass has dried up and gone. “The Kool-Aid” house, Carolyn calls it. ← What Does a Busy NBC News Anchor Crave?